There are only two categories of human beings: those who are in Adam, and those who are in Christ. Are you in Adam or in Christ? In Ephesians 1, Paul says that if you are in Christ, you can be faithful, you are blessed, you were chosen and made blameless, you are forgiven, you can know the will of God, you are reconciled, you have an inheritance, you have hope, and you have the Holy Spirit. The Bible speaks of identity as being in Adam or in Christ, so much so that the Bible speaks of believers being in Christ no less than 216 times. Just the Apostle Paul himself, in the thirteen letters of the New Testament that he writes, he talks about us being in Christ. He’ll use language like, “in him, in the Beloved, in Christ,” 216 times. Let me say this: anyone who tells you something 216 times, number one, it’s important, number two, they’re afraid you’re going to forget it. Do you know how many times the New Testament says that a Christian is a Christian and uses the language of “Christian”? Three times. 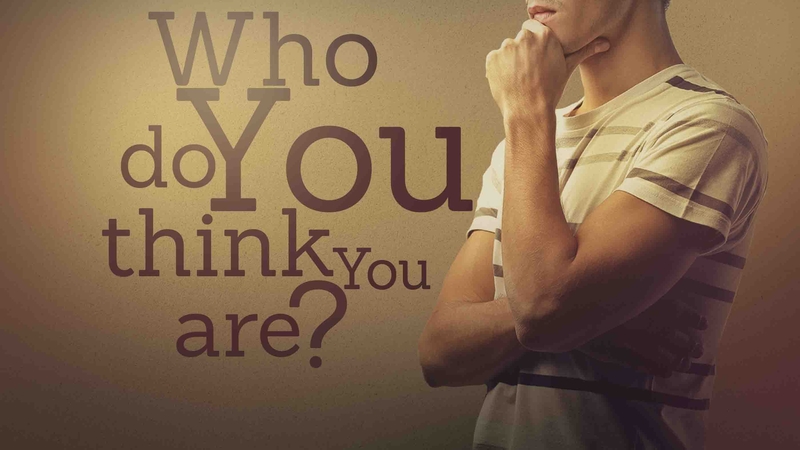 The Bible says that your identity is ‘a Christian’ three times, and that your identity is ‘in Christ’ 216 times. It’s one of the primary ways, if not the most common way, that God refers to a Christian. Here’s the difference between being in Adam and being in Christ: at the cross of Jesus Christ, he traded places with us. He literally traded places with me. All of the death, all of the shame, all of the condemnation that I deserve went to Jesus. All of the forgiveness, all of the love, all of the grace that Jesus rightly has as the sinless Son of God comes to me. What that does is that changes our identity. If you are in Christ, you are in Christ’s position and Christ is in your position. He suffers and dies so that you might be blessed and live. Do you believe that God the Father loves the Lord Jesus Christ? Do you believe that he is kind toward him, and gracious toward him, that his ear is attuned toward him, that his affection is devoted to him? I have great news for you. If you are in Christ, you stand in the position of Christ. You are loved as Christ is loved, you are blessed as Christ is blessed, you are embraced and adored as Christ is embraced and adored. I want you to see this so that you’ll live from your identity in Christ, that you’ll realize that you’re free from religion and trying to perform for God. You’ll be free from shame and condemnation, because all of that is taken care of for you by Christ and is available to you in Christ. All excellent reasons to celebrate and praise God daily. What a gift. Hey Dawn, I agree with you. So often we can forget these profound and wonderful blessings that we have in Christ. Remembering them should bring our hearts to praise.